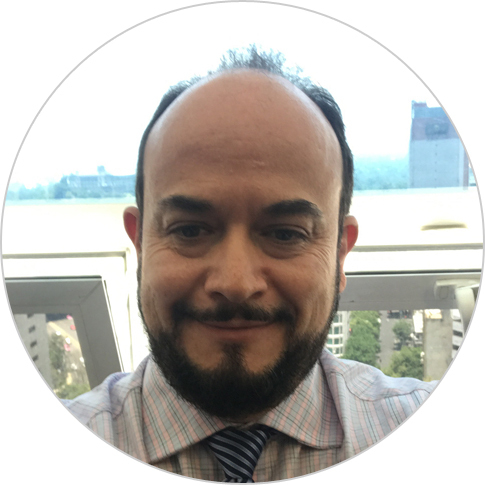 ​Enrique Rivas is an agribusiness marketing specialist with more than 16 years of experience working in Latin America leading value chain analyses, conducting agricultural economic studies, and developing packing and transportation systems and quality control and preservation techniques. Currently, he serves as the chief of party on the Juntos Para la Prevención de la Violencia (“preventing violence together,”) project in Mexico, and previously he was the chief of party of the Environmental Management and Forest Governance Support Activity (Bosques) in Peru. He has extensive association development and extension experience, working with local producer organizations on marketing challenges, and spent more than 12 years working with international donor organizations such as USAID and GTZ. He earned a post-graduate diploma in agribusiness from the Technological Institute of Superior Studies in Monterrey, Mexico; and a B.S. in agriculture from the Universidad Mayor de San Simon in Cochabamba, Bolivia, and Universidad Nacional de Cuyo in Mendoza, Argentina.